In the news today, Noah Dobson has signed his entry-level contract with the New York Islanders, NBC has released their broadcasting schedule for the 2018-19 season, Zach Aston-Reese is healthy and looking to make a solid impact at the NHL level and the Ottawa Senators have officially announced the signing of Brady Tkachuk. 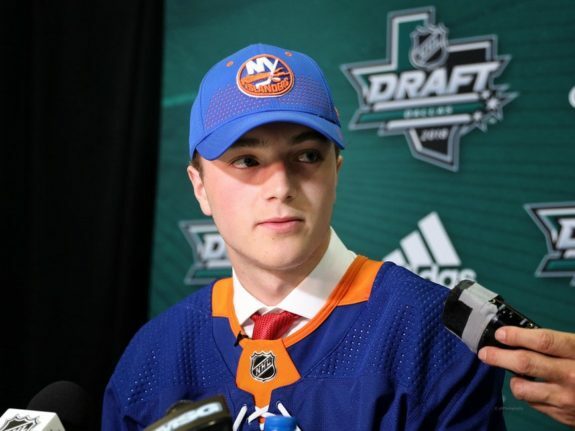 The New York Islanders have signed one of their two 2018 first-round draft picks, Noah Dobson to a three-year entry-level contract, the team announced Monday. Dobson, the Islanders second first-round pick at 12th overall behind Oliver Wahlstrom at 11th overall, was one of the top prospects coming out of his draft class. After a breakout season with the Acadie-Bathurst Titan of the QMJHL, Dobson made a name for himself as a solid two-way defender who excels on the offensive side of the puck. The Islanders are a team in transition right now with captain John Tavares electing to sign a long-term deal with the Toronto Maple Leafs as a free agent, leaving them without the franchise’s best player since Tavares entered the league in 2009. Fortunately, the Islanders still have some solid pieces in place and some high-upside prospects on the horizon. Dobson represents one such prospect with Mathew Barzal and Anthony Beauvillier already making an impact in the NHL after being drafted in 2015. NBC has released their broadcasting schedule for the 2018-19 NHL regular season. The schedule emphasizes a few specificities in what NBC was looking for with their broadcast this season, including the emphasis on doubleheaders, “star power,” earlier start times and diverse schedules. The diverse schedule does showcase many of the NHL’s finest teams in a broader way, but there is also a glaring emphasis on the Chicago Blackhawks, Washington Capitals, Pittsburgh Penguins, Boston Bruins, New York Rangers, Tampa Bay Lightning, Minnesota Wild and Nashville Predators, all of whom will be seen on NBC between 11 times (Wild) and 19 times (Blackhawks) with the Vancouver Canucks and Ottawa Senators getting zero games on NBC this season. Additionally, the Islanders, Montreal Canadiens, Florida Panthers, Dallas Stars, Carolina Hurricanes and Arizona Coyotes will get one broadcast on NBC. 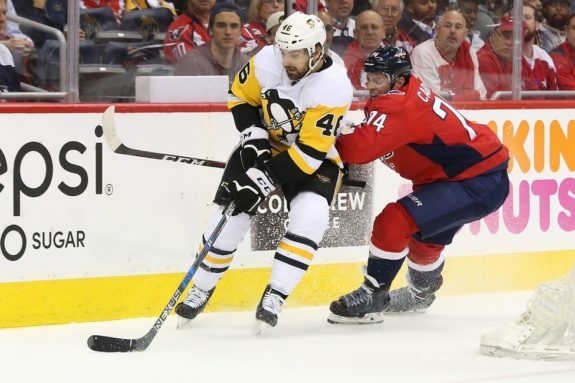 Pittsburgh Penguins’ forward Zach Aston-Reese is healthy and looking to earn a full-time role in the NHL with the team next season. Reese suffered a broken jaw and concussion as a result of a hit from Washington Capitals’ forward Tom Wilson during a postseason game last season but is finally recovered and ready to make an impact. In his first season in the NHL, Reese would play in 16 games, scoring four goals and six points in that time before adding another one assist in nine postseason contests. The 24-year-old had a solid season going in Wilkes-Barre/Scranton before getting an opportunity in the NHL, finishing his AHL season with nine goals and 29 points in 41 games. Despite his success with the Penguins’ AHL affiliate, there’s no doubt that Aston-Reese is looking for more. It was reported a few days prior to the official release from the team but the Ottawa Senators have finally announced that they have come to terms on an entry-level contract with 2018 first-round pick Brady Tkachuk. 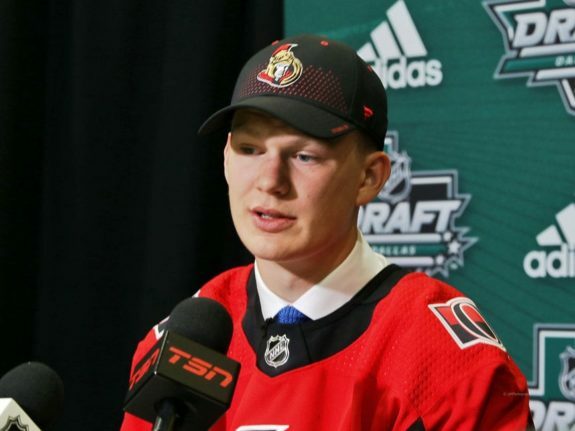 By signing his contract, Tkachuk effectively ended his eligibility in the NCAA and will compete for a spot on the Senators NHL roster in training camp. If the Senators decide that Tkachuk can benefit from developing more outside of the NHL, they can elect to send him to the OHL, where the London Knights hold his CHL rights, and let him play the season there. The Senators were very happy to select Tkachuk so early in the draft and while he could have benefited from spending more time in the NCAA with some better competition surrounding him, the team getting him locked up to a contract now and not risking him signing elsewhere after his collegiate career is over is a big plus for them. There’s also a distinct possibility that he impresses and makes the NHL roster right away, rendering the NCAA and OHL point moot.